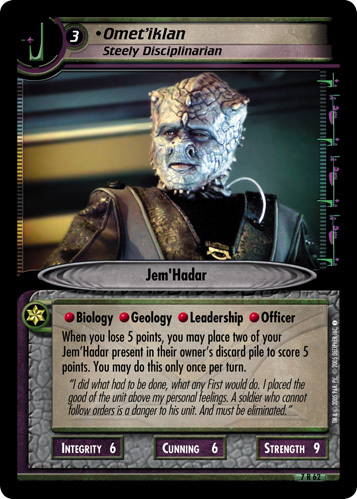 When you lose 5 points, you may place two of your Jem'Hadar present in their owner's discard pile to score 5 points. You may do this only once per turn. "I did what had to be done, what any First would do. 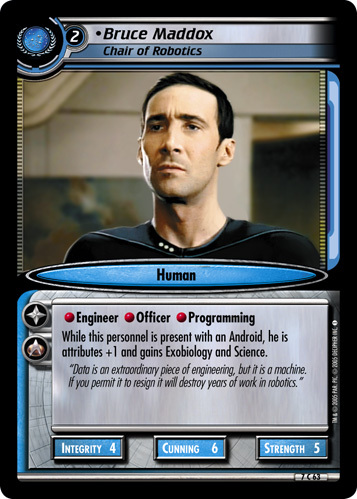 I placed the good of the unit above my personal feelings. 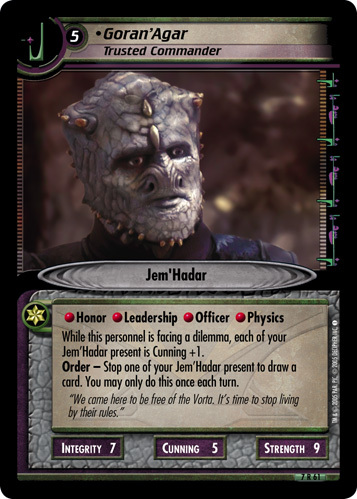 A soldier who cannot follow orders is a danger to his unit. And must be eliminated."